For an extra thin base, roll the 9” dough ball into a 12” circle on a solid work surface. Spread tomato sauce over the base, but be careful not to go over the edges, or your pizza will stick to the peel and/or oven floor. Sprinkle with cheese and a drizzle of olive oil. The oil can be drizzled after cooking, if preferred. Place directly on the oven floor at approximately 450º/500ºC for 60-80 seconds. Rotate the pizza whilst it cooks, for even cooking. 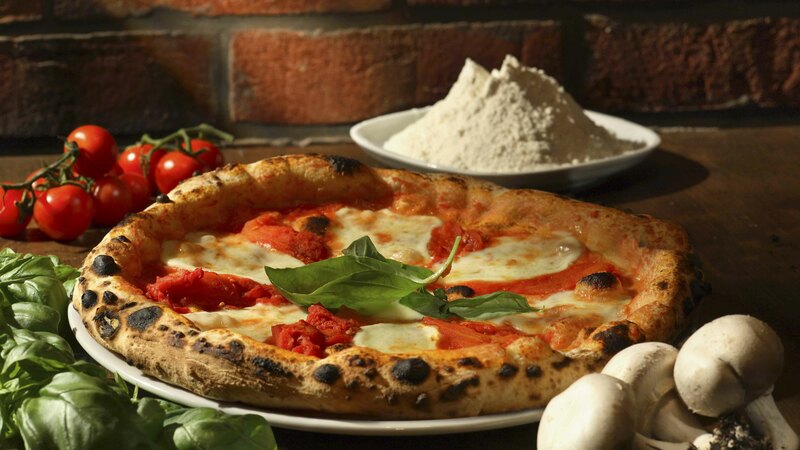 Margherita pizza – the basis of most pizzas and you can add almost any combination of your favourite toppings. Also you can try pizza without the Mozzarella or substitute the Mozzarella with your favourite cheese.